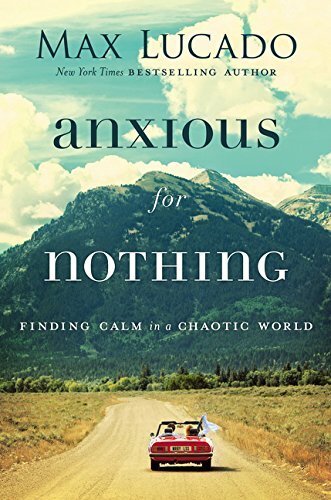 Inside: We encounter many situations in life that cause us to worry and become anxious. Will God come through for us? A prayer for peace of mind can help us focus on our Savior instead of our situation. We can trust in God to help us when we are worried and stressed out. As I looked around the room, I noticed others trying to keep themselves busy by reading, playing cards and watching t.v. I yawned and debated about grabbing a cup of coffee, but my stomach felt upset and I didn’t think mixing the two would be a good idea. The clock on the wall seemed to have stopped as I waited for word of the end of my husband’s surgery. It was only a surgery for a broken wrist which needed a metal plate and screws fused to it, but being put under anesthesia always had its risks. My husband depended on the use of his hands as a carpenter and the hobbies he enjoyed. What if the damage was severe? What if he couldn’t use it again? Our daily life depended on his use of his hands. The knot in my stomach kept cinching tighter and tighter. I could use a worry prayer as I sat in this situation. Anxiety has been a longtime friend of mine, and as I sat there, it wanted to pull up a chair right next to me and invade my thoughts. The problem with it descending upon me was it liked to stay longer than it needed. A concern is a valid feeling, but anxiety can push our minds to the extreme. Anxiety is a lot like a spinning top. It begins and spins fast out of control affecting other areas of life. Many times, it takes us down as our health suffers. As humans, we like to think we’re in charge of situations. When these conditions become out of our grip, we become anxious and worried. The problem with these feelings is they make us focused on ourselves instead of God. Satan likes for us to remain anxious because then we can’t fulfill the plans God has for us. Click To TweetIf Satan can get us stuck, he can get us to sink. Have you been there, sinking under the weight of anxiety? Could a written worry prayer help you during these anxious times? When we’re ultra-focused on other things than God, it becomes an idol. It causes us to miss out on the blessings in the here and now. We forget to be thankful when we are so self-absorbed in the midst of anxiety. It might not be a golden calf idol, but it’s an idol nonetheless when it takes the place of God in our life. 1. Pray about everything which puts our focus on God. 2. Give God all our concerns. 3. Thank God for all the blessings in our life. 4. Guard our minds by fixing them on God’s truth. When we become intentional in these actions, then we will experience God’s peace. We can’t expect God’s peace if we don’t follow these guidelines. When we have God’s peace, we won’t be a susceptible to worry and anxiety. Many times I hear people saying, “I’ve given my concerns to God, but I’m still anxious.” Have you followed the steps in Philippians? Have you surrendered to God’s timing and are you patiently waiting and trusting? Anxiety can be a massive stronghold on us which is hard to break. It requires us to be intentional in our thoughts by guarding them throughout the day. It takes strength and willpower; however, God can help us if we ask. In John 4, we meet a government official who has traveled 20 miles by walking to see Jesus. This man’s son is dying, and he had faith that Jesus could help him. Imagine the anxious thoughts swirling while he walked these 20 miles to Jesus. How many “what ifs” were plaguing his mind? Jesus was his only answer, the situation was dire, and his son might not make it. Imagine the anxious thoughts swirling while he walked these 20 miles to Jesus. How many “what ifs” were plaguing his mind? Jesus was his only answer, the situation was dire, and his son might not make it. As he walked mile after mile, I wondered if he had a worry prayer? How did he keep going instead of becoming overwhelmed with his situation? This official asked Jesus to walk back with him and save his son. He was confident Jesus could heal his little boy. Jesus told this man to go back home and his son would live. The man turned around and went home. He’s stopped on his journey by servants that tell him his son is alive and is better. Here’s the significance, this government official had superiority over Jesus, but yet he humbled himself to Jesus. He believed and went back to his life fully assured God would come through for him. 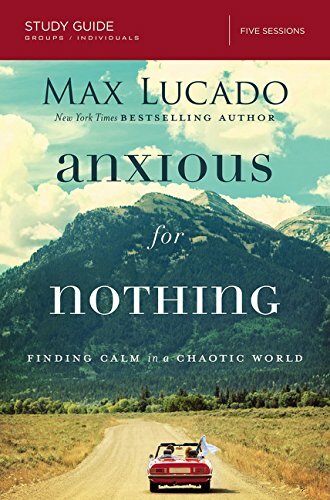 This man didn’t get paralyzed by this anxiety, nor did he analyze the situation with “what ifs.” He practiced the four ways to combat worry and didn’t let fear overcome him. He didn’t just say he believed but returned home in full confidence. Are we living in full trust and confidence that God is in control? When we pray about a problem, are we believing God will do what He says? 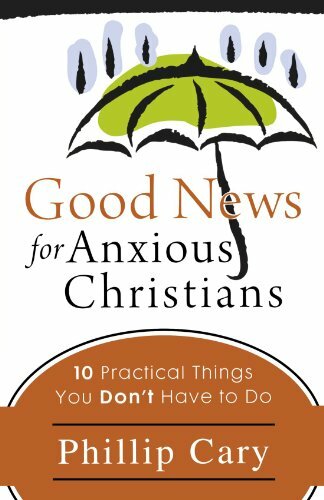 God promises to help us overcome anxiety and any other stronghold in our lives. It requires work on our part, wisdom from God and dependence on Him. We need to work in tandem with Him. Life will always be trying, but when we have an intimate, daily relationship with our Father, we can leave the “what ifs” behind by focusing on Him. The key is we need our Savior every day, we need to humble ourselves to Him and ask Him to keep us secure in Him. He will guide and lead us through the difficult times. My husband recovered quickly and has full use of both of his hands. God answered our prayers and used this situation to increase our faith. Father- you tell us not to worry about our lives (Matt. 6:25-34) because you will provide what we need. We can trust in you with all our hearts (Proverbs 3:5-6). When we use prayer and thanksgiving, the worry melts into your peace (Philippians 4:6-7). You assure us worry doesn’t accomplish anything, rather is a sign we don’t believe your promises (Luke 12:24-34). When we come to you, you will give us rest (Matt. 11:28-30) and leave us with your peace (John 14:27). Amen! 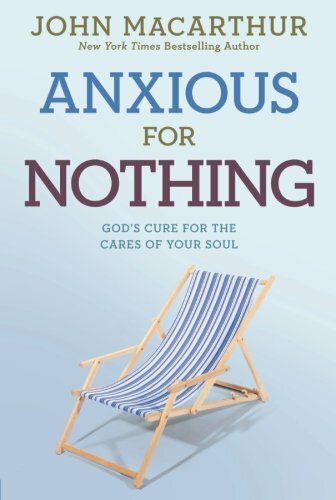 I have put together a “Do Not Be Anxious: The Best Biblical Resource for Anxiety.” It includes posts, information, my favorite links, and books all to help you with anxiety from a Biblical standpoint. I will be updating it often and hope you find it helpful! I’m quite the friend of anxiety, too. 🙁 So I appreciate hearing how you fight against it, Julie. I have to take my thoughts captive so much of the time to beat away anxiety. Praise God that your husband recovered the full use of his hands! We have been studying the 10 commandments in Wednesday night bible study. Last week was on idols. 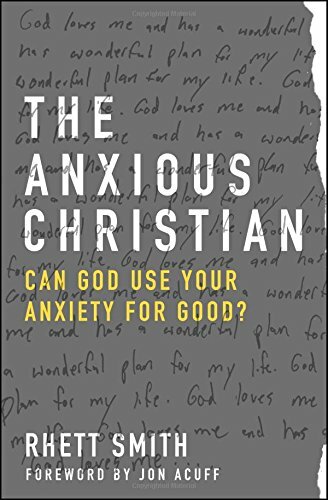 Funny, with all our examples of idolatry in our modern world, we never mentioned anxiety. You speak truth Julie. Thank you for enlightening me. Calvonia- I always thought idols were images bowed down to, but they are sneaky and can be right under our noses. Anything that takes us from God is an idol. We all need to be watchful! Julie, thank you for your encouraging words. I love that you provided steps for us to take to combat worry. I’m visiting you today from #TeaAndWordTuesday linkup! Debbie- thank you for stopping! I cannot express how much I needed to read this right now. Thank you! Alyson- praying that your mission trip goes well! God’s Blessings to you! Dear Julie, this is beautiful! I, too, tend to be a worry-wart. I used to think that was just how I was wired. Several years ago, the Lord began teaching me that it’s a choice to worry. I love the passage from Phillipians! As long as we keep our focus on God, His goodness and His care, everything else falls into place. Blessings from your neighbor at Holley’s. Alice- I’ve fallen into that trap also. I’m just anxious because it’s genetic.It is a choice. Thank you for the kind words! As Keller says, Worry is pride. We think we know more than God. I love your worry “bundle” – a bundle worth buying into. Huge doses of truth in those verses, Julie. Thanks for reminding me to turn them into prayer. I praise God for the flow of God’s Word and His power through this post. Anxiety tries to befriend me oh so often that I need to tug on His PROMISES daily. Thank you Julie for these reminders for my heart today. Diana- so glad you stopped by:) Keep tugging on those promises! I love that Martin Luther quote! And prayers for your husband’s quick recovery!! It really does make a difference in our anxiety levels when we can get the focus off ourselves and onto God ♥ Blessings on ya girl! It seems so easy, give God our worries and anxiety. Yet how often am I remiss in doing this. Thanks for the reminder. Because giving God our worries does work! I so enjoyed this post! Thank you for taking the time to write this. 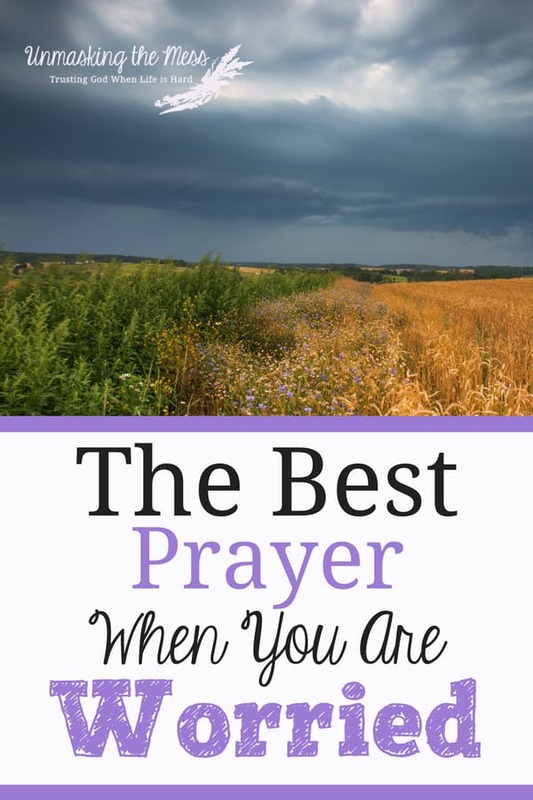 Getting on our knees in prayer when we are feeling worried/overwhelmed is so key, yet we often neglect this most important thing. This is a great reminder! Rosanna- nice to meet you 🙂 Yes prayer should be the first thing and so many times it’s the last action for us. I’m so glad you stopped! I love your prayer! I like to start my day first by laying my worries and anxiety before God. That alone has been helpful. Thanks so much for sharing these verses and encouraging words! Great advice. I’ve implemented those traits into my life over the years, and it definitely helps. Worry just seems to be one of those sins that sneaks completely unnoticed into those unguarded hairline cracks in my soul. Seems like each new stage in life brings with it new worries. I’m in the teen-parenting years, and, oh my, it’s so hard not to worry when my oldest is out driving! Thanks for sharing your encouragement at the #LMMLinkup! Brandi- I totally agree on the teen drivers. I have a new teen driver here. I have to remember God loves my kids more than I do! Alyssa- It’s comforting to know I don’t struggle alone! Are you implying that being anxious is against God because we make other things our idols by preoccupying ourselves with said things? Is that not a bit harsh given that people can be anxious as a result of General Anxiety disordet, social anxiety disorder, or other similar conditions? Fernanda- I have GAD and a genetic pre-disposition to anxiety so I get this. I am not speaking for any one else but me, what I have noticed is that I had made anxiety my idol. I was spending so much time with it and making it a god in my life. Once I refocused my thoughts and surredered my fears and anxieties to God, I was able to overcome it. Gisel- I will pray for you! 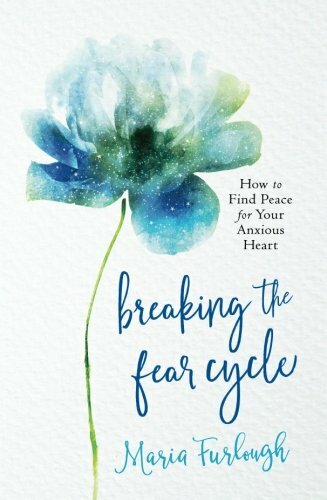 When I went through some intense anxiety, with time, it got better. Can you talk to someone?